Norwegian has signed an agreement to acquire an additional two new Boeing 787-9 Dreamliners, enabling the company to launch even more long-haul routes. Both aircraft are scheduled to enter service in summer 2017. The 787-9 is larger than the eight 787-8s that Norwegian currently operates on its long-haul routes. With this new agreement, the long-haul fleet will consist of 19 Dreamliners by 2018. 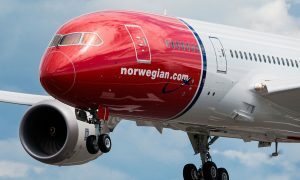 Norwegian continues to expand its international operations by signing an agreement to lease two new Boeing 787-9 Dreamliner aircraft. Both aircraft are scheduled to enter service in summer 2017. Today, Norwegian has eight 787-8 Dreamliner aircraft in its long-haul fleet, as well as 11 787-9 Dreamliners on order. The company will have 19 long-haul aircraft in its fleet by 2018, whereof four will be delivered in 2016, five in 2017 and two in 2018. “In order to make our long-haul operation even more competitive, we are dependent on more brand new cost-efficient aircraft. Our long-haul routes have been very popular and I´m very satisfied to have secured more Dreamliners. This will enable us to launch even more routes to exiting destinations all over the world. 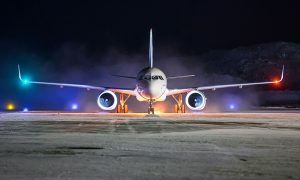 This is a fantastic airplane with high passenger comfort, long range and low fuel burn,” said Norwegian’s CEO Bjørn Kjos. The 787-9 has 344 seats whereof 35 in premium and 309 in economy. 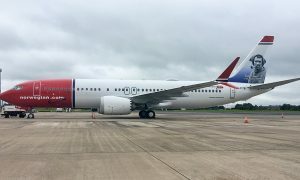 The new aircraft will be leased by Norwegian’s asset company, Arctic Aviation Assets.